A few reasons why your child’s teeth are worth looking after! 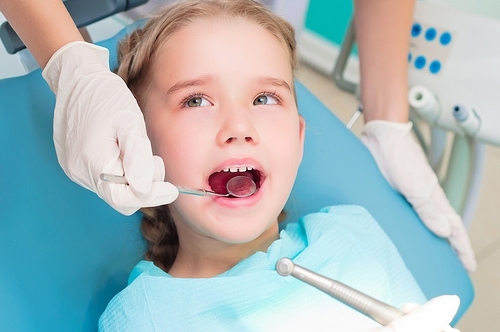 Here at Care32 Family Dental Care center we believe in preventive dental care and encourage our patients to bring their children to the practice from an early age. Regular examinations from a young age will ensure children won’t suffer from untreated dental decay with devastating effects to their growing dentition. 1. Fluoride applications are a safe and effective way to safeguard your growing child’s teeth from developing decay. The fluoride is painted onto the surface of the child’s teeth and this helps to mineralise the teeth. 2.Fissure sealants are tooth colored and applied to biting surfaces of children’s teeth to prevent decay. 3. Studies have shown that the younger the age that you bring your child to the dental practice, even if just for an examination, the more likely they are to have a positive experience and grow up not to be afraid of the dentist. Our team will take special care of your child to make them feel safe and cared for.